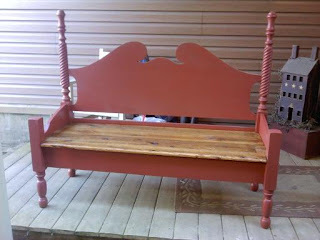 A repurposed antique cherry double bed finished in an old country red paint. The seat is made of reclaimed antique barn wood. Sanded and stained. This is a very sturdy bench and is now a new heirloom piece. Often I will use reclaimed lumber for the seats to achieve that more distressed worn look (like bench above) Or new lumber for that fresh cleaner look. Keep checking back as I will have more benches for sale in different styles, sizes and colors. These are all one-of-a-kind very sturdy quality solid wood benches. You won't be disappointed in these pieces. 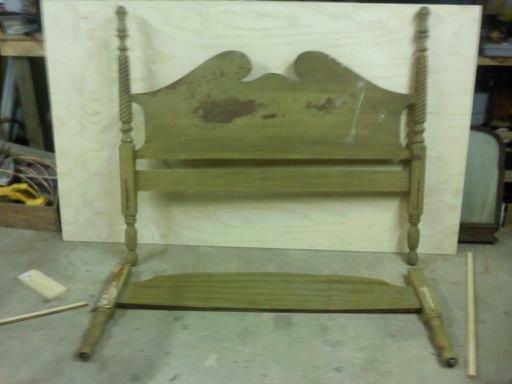 All made by me at Salvaged Seats. Located in Constantia, New York near the shores of beautiful Oneida Lake. 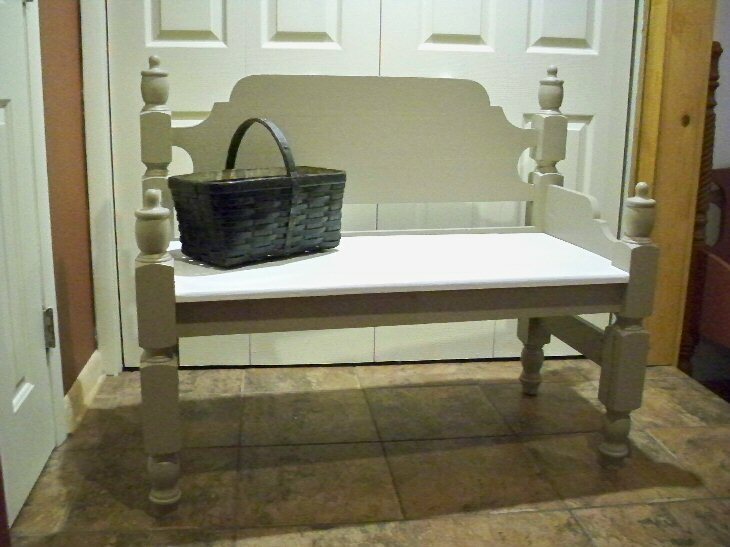 If you have an antique or vintage wood bed that perhaps belonged to your grandmother or parent, and you would like to repurpose it into a new family heirloom bench. Just contact me and I can quote you a price. Thanks. I will do custom work. If you have an antique or vintage wood bed that you would like to have made into an heirloom bench, click on my contact button and I will give you a quote.